Martin Niemoller – A Man who could Repent and Strive to Correct! Because i was not a unionist. This is one of the world famous verse quoted frequently around the world for the various kind of social activities by the social movements. There was a huge board displaying this quotation in front of the Art Theater of Peradeniya University in Sri Lanka at the end of 1988 or the mid of 1989. This idea was actually from Martin Niemoller(Friedrich Gustav Emil Martin Niemöller) who was a German anti-Nazy theologian and pastor. He happened to write this verse down to criticize the cowardice of German intellectuals in the face of Nazifications during Hitler era. But ironically, he was a supporter of Hitler by the time Hitler came to the power. Like most Protestant Pastors, Niemoller was a national conservative and directly supported to the opponents of the Weimar Republic. Under these circumstances he welcomed Hitler’s ability to get in to the power. But the problem was, as soon as Hitler came to the power he started to launch the anti-semitic Aryan Race which Martin Niemoller was not happy and in 1936 Niemoller signed the petition of a group of Protestant Churchmen which vehemently criticized the Nazi policies and he continued to do against the Aryan Race and Nazification. Those sort of anti behaviour for the Hitler’s regime was more than enough him to face the consequences. He was arrested in 1 st July 1937 and took him to a special court. He was fined 2000 Richmarks and seven months imprisonment. As his detention period was exceeded the jail term,he was released after the trial. While he was leaving the court, he was arrested by the Gestapo which is the most brutal forces in Hitler’s regime because the regime thought that the court order was too lenient and they wanted to take “merciless action” against Niemoller. They took him to the Dachau Concentration camp where 2,43,000 people had their final journey from 1933 to 1945. In late April 1945, Martin Niemoller together with about 140 high ranking prisoners were taken away from the Dachau Concentration camp and that group was to be used as hostages in surrender negotiations. Eventually this group was liberated by US seventh Army when they arrived Dachau Camp on 29th April 1945. 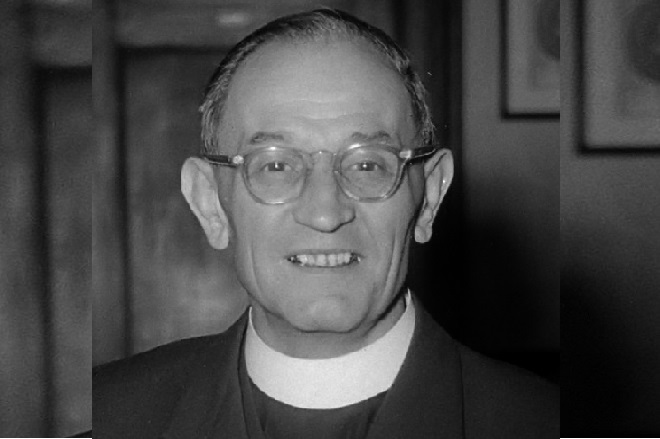 Later in 1954, Martin Niemoller became an ardent campaigner for nuclear disarmament. He was soon a leading figure in the post-war German peace movement. He visited to North Vietnam’s communist ruler Ho Chi Minh during the peak time of the war and he did important part for the protesting to the Vietnam war. Later he was awarded the Lenin Peace Prize in 1966. He made a small chapel at Dachau where he was detained and he would greet visitors with explaining the brutality of the time they passed. He died on 6 of March 1984 at the age of 94. One of the important things of his life is that he had a self criticism later in his life. Leo Stein his former cell-mate who was in the detention with him, later released an article about Martin Niemoller for the National Jewish Monthly in 1941. Leo reported having asked Niemoller, Why he ever supported the Nazy Party in the early, to which Niemoller replied: “ I find myself wondering about that too. I wonder about it as much as i regret it. It is true that Hitler betrayed me, he promised me on his word of honor, to protect the church and not to issue any anti-church laws. He also agreed not to allow massacres against the Jews, assuring me as followers: “ There will be restrictions against the Jews, but there will be no ghettos, no massacres in Germany”. Actually this is what the final consequence for any intellectuals or religious representative who come forward to support any racist politicians who try to come to the power by using particular ethnic issues. But the commendable characteristic is he did not stop repenting about his errors, instead he worked with others to correct things, to reverse what he judged wrong. The final period of life was a struggle for a better world.